All that said, I was persuaded to take a look at Twitter and its use to me professionally. My professional role is that of a Research Nurse, a role that has been invisible to many, and yet so integral to the development of evidence based practice. So with the help of my daughter, I set up my Twitter account, @keeling_michael and the rest as they say is history! 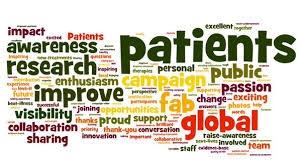 What a fantastic forum I had discovered, to learn, share and connect with individuals, not just in the same office, the same ward, the same hospital, the same city … But all around the world … and to do this in 140 characters or less! This was a struggle as I am prone to waffling! Anyway, there I was, tweeting away, when I came across a tweet from @clairegibbsuk. Now I knew Claire through Twitter, a fellow research nurse, however this tweet was different. 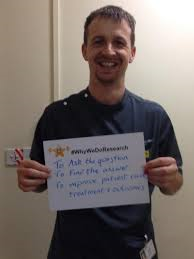 It had a picture attached, with the #whywedoresearch, and immediately caught my eye as it was a simple concept, a photo of the individual holding a placard explaining in their words, why we do research. 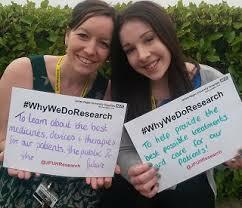 The #whywedoresearch started gaining momentum, more individuals, trusts, charities and organisations got involved. What started as a local campaign quickly spread nationally. At which point we decided to create a video and post it on YouTube . This was a great success and received 400 views in its first week and at present just over 1200 views. 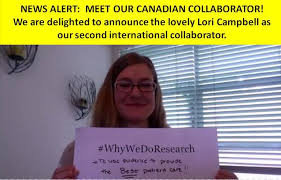 #whywedoresearch continued to grow and further its reach internationally with 14 countries to date involved. To build upon the momentum generated by the last video, we decided to produce another, showing the development from a local campaign to a global campaign, and similar to the previous one Local to Global was launched on YouTube . 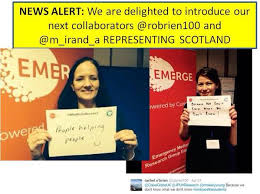 As the campaign has grown, we have recruited more collaborators, with the role to champion the campaign in their country, and have recently introduced the ambassador role to champion the campaign locally within the individuals’ organisation. What has the campaign achieved? Many positives. 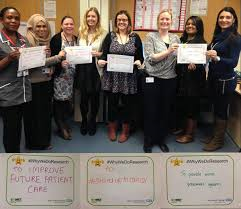 Personally what I feel is amazing is the sense of community #whywedoresearch has created. 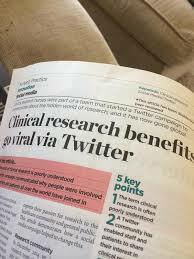 Twitter has allowed hierarchies to disappear, for patients, public, individuals, families, organisations, staff all to contribute and join the conversation, and have a voice in why we do research. It has even been used in a school for learning about research. We recently had an article published in the Nursing Times; I’ve never been published before! 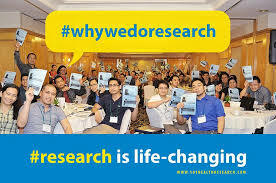 Nearly 3000 separate accounts have joined in with #whywedoresearch; it now has over 25,000,ooo impressions on Twitter worldwide. I have been completely bowled over by the enthusiasm for the campaign and humbled by peoples’ generosity in sharing what are often very personal thoughts. Friendships have developed, as well as professional networks, connecting like minded individuals across the globe. 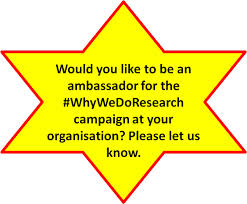 But above all, #whywedoresearch has created a fun way for all to get involved with raising the profile of research. It has been an amazing journey, one that has been undertaken in our own time, one that is far from over, so please, feel free to join in the conversation and help raise awareness of research … oh and have some fun in doing so! This entry was posted in Uncategorized and tagged Campaigns, research, social media, Stroke, YouTube. Bookmark the permalink.